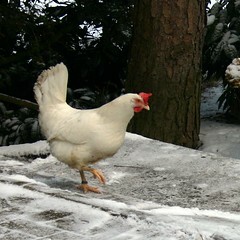 With the heat of summer here, I know it seems like a strange time to talk about cold weather chicken coop plans. However, here in northern Indiana, summer will quickly give way to the dark, blustery days of winter. So, while the sun is still shining and the days are still long and warm, let's talk about how you can winterize your coop so that your chickens stay warm even when its twenty below zero.